Today in San Francisco, digital camera and imaging start-up Lytro is unveiling a consumer digital camera that it claims will be the biggest technological jump since we started talking megapixels over 20 years ago. Without getting too technical, a light field camera captures light all throughout the scene in front of the lens, as opposed to the cameras consumers are used to, which bring a particular thing into focus first. 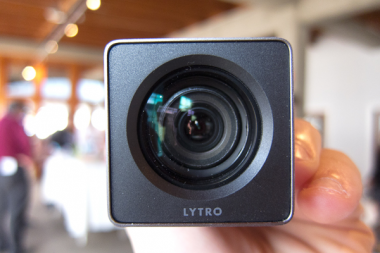 The result is an image that can be focused after it is taken, and, Lytro claims, a camera that is faster from power-up to capture, and has exceptional performance in low light, even without a flash. Lytro claims it has spent the last five years and nearly $50 million from several of Silicon Valley’s heaviest-weight VC firms working to pack all that technology into a camera small enough to compete with the myriad point-and-shoots currently available. 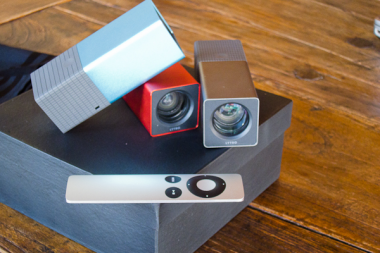 Join us as we see for the first time if Lytro has gotten the picture. 11:17 am: They’ve let us into the event. No action yet, just a bunch of tech reporters tweeting away. 11:32 am: We’re underway. CEO and founder of Lytro Ren Ng is coming up now. 11:33 am: Lytro grew out of Ng’s Stanford PhD work in light field imaging. 11:33 am: Ng starts with some stats on digital cameras. He says that at the end of the day, both film and regular digital cameras record the same data — a flat image. 11:34 am: “The light field is all the light traveling in all directions at every point in space,” says Ng. 11:35 am: Still on the tech, Ng says his focus at Stanford was on miniaturizing the camera technology. At the time, the only light field cameras were huge arrays of cameras in labs. 11:37 am: We’re on the history of his research now — Ng says the first camera he built was a one-off medium format camera. 11:39 am: The important takeaway here is that this camera is as much about the computer science behind it as it is about the optics and the hardware. 11:41 am: Ng moves on to the features of this technology for the user. 11:42 am: 1. Shoot first, focus after. 2. Ability for third parties to interact with the picture after it is put online. 11:43 am: Ng shows what appears to be a screenshot of his Facebook page, with a Lytro interactive image embedded. 11:45 am: 8x optical zoom, with an f 2.0 aperture. 11:47 am: It’s an 11 “megaray” camera — which means it captures 11 million rays of light, says Ng. 11:49 am: It’s a metal rectangular tube, maybe 4 inches long. The lens is at one end and the small touch screen at the other. It’s unlike any camera design I’ve ever seen. 11:50 am: Ng says another benefit of the camera is how fast it turns on. 11:51 am: The camera doesn’t need to focus before it shoots, so time from activation to capture seems pretty instant. 11:52 am: Now he’s going to take a picture of the room — we’re being posed, no joke. 11:52 am: They will come in 3 colors — redish, blueish and grayish. 11:53 am: Ng is plugging in the camera, showcasing the software that comes with it. The camera uses micro USB. 11:54 am: Liveblogging solo here, but there are a few pictures I’m putting up on twitter (@withdrake). 11:55 am: Software seems to be pretty snappy. All the pictures are square format. 11:56 am: Ng says you can refocus the image on the camera, in the computer software, or on the web, wherever you embed the image. He says you can post to Facebook from inside the Lytro computer software. 11:58 am: Ng just posted something to Facebook from the software. Facebook friends can zoom and refocus the image right in Facebook. 11:59 am: The camera will come in 8GB and 16GB versions. 11:59 am: 8GB version can capture 350 light field images. 12:00 pm: Ng says that the camera will ship in early 2012. 12:01 pm: Now he’s dancing around price. 12:02 pm: It will be $399 for the 8GB version. We’re wrapped up. Moving on to the demo station. … See gallery of pictures above.